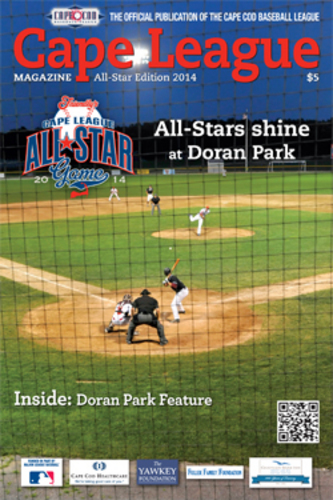 If you can't be at the All-Star game, consider ordering your copy of the 2014 All-Star game edition of the Cape League Magazine. To reserve your copy, send a $10 check or money order made out to Cape Cod Baseball League in care of CCBL President Judy Walden Scarafile, 449 Braggs Lane, Barnstable Village, MA 02630. The $10 cost includes shipping and handling.